The Holy Spirit…Breath of heaven. Lovely post! THIS: “Yahweh. The Holy Spirit. One breathing life into my humanity; One breathing life into my soul. Ruach and Pneuma; together awakening the physical and spiritual rhythms necessary for me to move forward to the next moments.” We were thinking along similar lines again. We are indeed kindred spirits. I’m in the 6 spot this week. Beautiful. I’m choosing to breathe today, choosing life. Visiting from #11 at the FMF. Stephanie that was a whole lot so hard to endure over such a short period of time. God never promises us to remove the hard, or even to minimize it. But He does promise to walk with us through it, and to help us breathe. Thank you for the picture of the scarf, and how it (and Jesus) is a protection for us. Stunning post today. 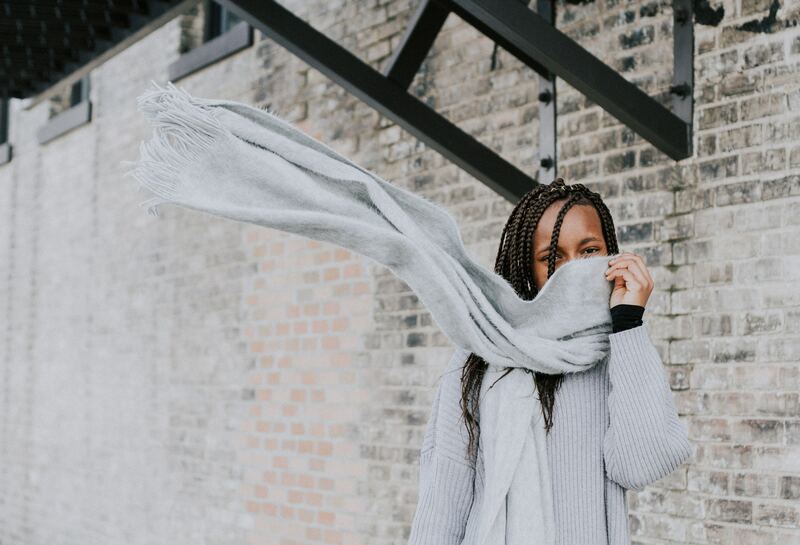 I love the visual of the scarf creating that safe space for you to breathe again and it being on all sides of you just like our Heavenly Father. Beautiful post today and after living for so many years in the east coast, I could feel all that literal breath taking cold. Thank you Kelly. Even though it’s in the 30’s today, the memories of being whipped hard come back easily.